Welcome to my shop! 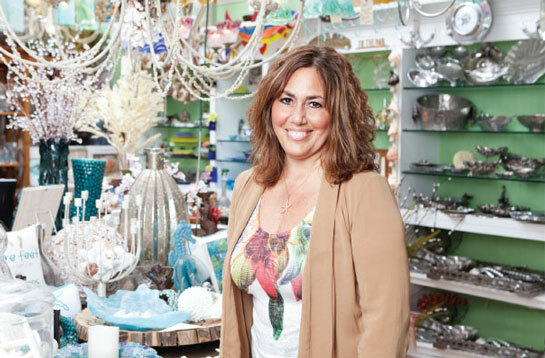 I’m Candy Galekovic, the owner of Candy’s Cottage Coastal Living. 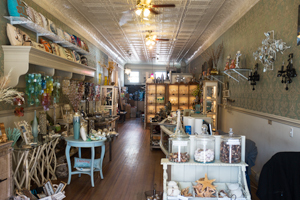 My love of the beach and decorating with wonderful coastal finds prompted me to open my store in several cool towns on the Jersey shore. I started out in the vibrant and eclectic town of Asbury Park, then opened a store in Long Branch in the Pier Village development at the beach. Red Bank was the next location that became the store’s home base. Now, I have just relocated to beautiful Southern California! The climate and great vibe of SoCal prompted me to explore even more possibilities with a year round coastal business. My career began by hand painting cottage furniture and accessorizing with antiques and vintage pieces in dealer shops located in Point Pleasant, Freehold and Red Bank, New Jersey. My business continued to grow from these first successful locations into the chic coastal store of today. I believe that the lure of the ocean has influenced our unique product line into our growing niche of products, all with a sophisticated, seaside ambiance. These one-of-a-kind furniture pieces, tabletop accessories, dramatic flower lights, pillows, coral specimens, fabulous shell & semi-precious handmade jewelry, capiz windchimes, garlands, decorative accessories, dramatic wall art, and stunning seaside barware have our customers returning again and again. Now, with the ability to shop online, our customers and new site visitors can find these one-of-a-kind gifts and beach-inspired home accessories, no matter where they may live. Candy’s Cottage Coastal Living invites you to come and explore the best of the shore!